"Dreamcatchers" exhibit runs for the month of April 2019. As seen in the Pacific Magazine, April 2019 edition. "Rockin' Blue" exhibit runs for the month of August 2018. As seen in the Pacific Magazine, August 2018 edition. "Majestic Trees" exhibit runs for the month of July 2018. As seen in the Pacific Magazine, July 2018 edition. “Diamonds in the Veins” show runs for the month of April 2018. 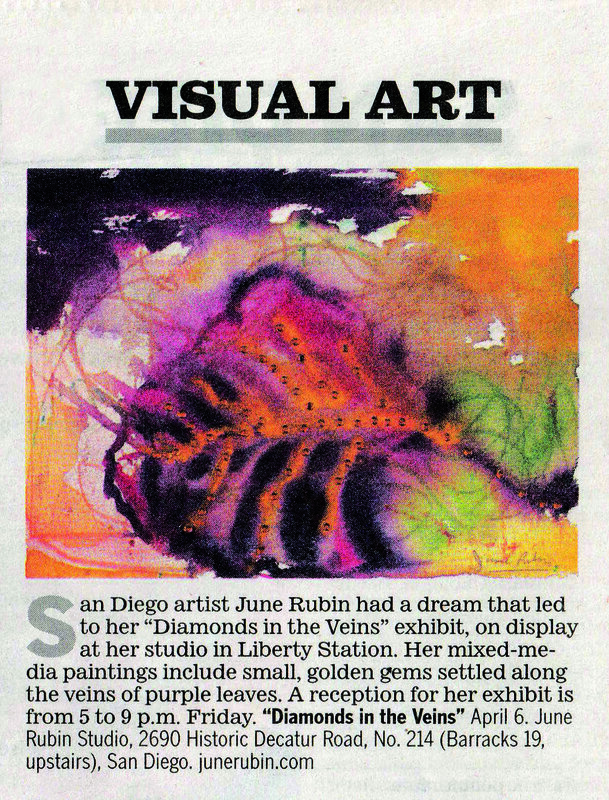 As seen in the San Diego Union Tribune "Night and Day" art section. June Rubin mural painted in January 2018.